JCI Amsterdam organises a lot of activities. On this page you can find an excerpt of the most recent activities. Not all of our chapter activities are open for non-members, private events are therefore not mentioned on this page. For more information about activities visit our Facebook page (link) and soon we will post an agenda with public activities on this site. 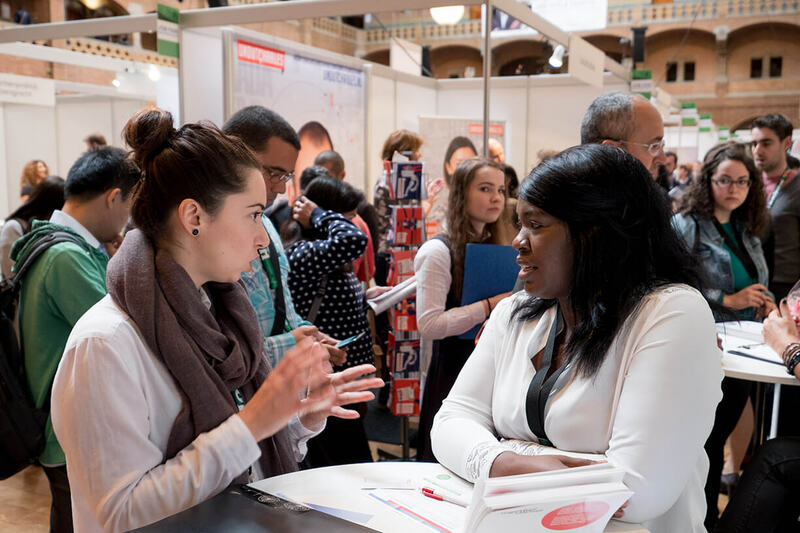 Everything you want to know about the Dutch expat life, under one roof: on Sunday 7 October 2018, the 16th edition of Amsterdam’s renowned i am not a tourist Expat Fair is shaking up the stunning Beurs van Berlage in the heart of Amsterdam. Explore what the Netherlands has to offer, including this year’s highlights: “Jobs for Expats” and “Houses for Expats”. Check out a video impression of the day and get your free ticket right now! 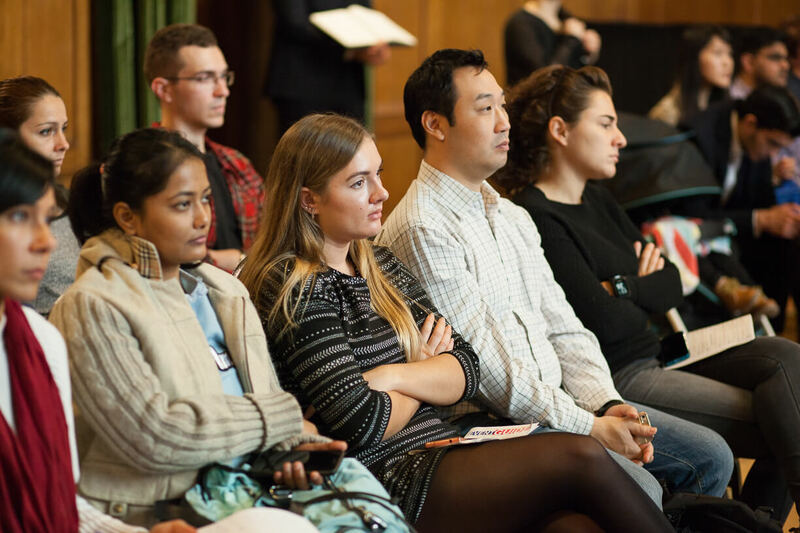 Every year we give you the chance to take part in engaging and useful workshops, mingle with thousands of fellow internationals and network with companies from across the country in what has become the largest expat focussed event in the Netherlands. And, what’s more, it’s free! We have over 125 exhibitors and 40 professional presentations arranged around the themes of Relocation, Finance, Employment, Families, Healthcare, Education, Transport, Housing and Setting Up Home. Next to that we have an entertaining programme. So whether you have just moved to Holland, are a long-term resident, or a digital nomad the i am not a tourist Expat Fair promises everything you need to know about living, working and enjoying your time here. This year’s fair will be the biggest yet; offering more than 3,000 expats the chance to talk with professionals from diverse industries and explore a wide variety of social clubs, volunteering and entrepreneurial opportunities. For families with children, the Expat Fair has a dedicated kids’ area managed by childcare professionals of Hestia Kinderopvang. This year the Employment and Housing themes at the fair will be extra highlighted, recognizable with the ‘Jobs for Expats’ and ‘Houses for Expats’ signage. Jobs for Expats : employers, experts, job coaches and recruiters will be on hand to help internationals wishing to build a professional network, continue their education, pursue their career or succeed as an entrepreneur. Bring your CV! Note: only exhibitors with the Jobs for Expats signage offer multilingual vacancies. Houses for Expats: There are many homes in the Netherlands available for expats looking to buy or rent, that is why we introduce this year at the Expat Fair ‘Houses for Expats’. Getting an understanding of tenants’ rights and property law is a must. At the fair you will find among others real estate agents, short stay residences, mortgage advisers, and notaries to help you find answers to your questions regarding housing in the Netherlands. Whatever your question, from ‘How do I set up a bank account and do my taxes?’ to ‘What is the best childcare, school or university for my child?’ the i am not a tourist Expat Fair can point you in the right direction. Both settled expats and new arrivals can find out about study, clubs and cultural activities. There will be interesting live performances and presentations, for all ages, on the main stage. Our extensive program also includes a variety of workshops to help you integrate into life in the Netherlands. For families with children, the Expat Fair has a dedicated kids’ area managed by childcare professionals, Hestia Kinderopvang. Whether you have lived in the Netherlands for days, months, years, or are yet to move – you are not a tourist! So make sure you keep Sunday 7th October 2018 free! Places are limited so book your FREE ticket online now to avoid missing out! JCI Amsterdam International is very proud to congratulate our own Marion De Groot with her position as Vice President for JCI in 2017. She will be the primary contact for JCI HQ for the countries below. We know she will do an incredible job representing JCI, our chapter and most of all the countries assigned to her. Good luck and we know Marion will have a great year!! Countries: Bulgaria, Czech Republic, Moldova, Poland, Russia, Monaco, Slovakia, Croatia & Ukraine. We are very happy to share from JCI Amsterdam International that we had a great day visiting the Westermoskee in Amsterdam with a big group of JCI people from different chapters and potential members. We had a tea, walked to the mosque, did a tour guided by to Turkish guys from the mosque AND had an amazing Turkish lunch that turned into an afternoon lounge. This was a fantastic opportunity to exchange and learn more about Muslim culture. Thanks to all the people participating and please feel inspired if you read this, to do this in your own community! Attending a gala can give you some nerves because everyone wants to look their best. Our own Rose Heinze can help you ease those nerves. During the Styling event all the beautiful ladies present learned exciting ways to make their inner beauty shine even more and we have Rose to thank for that. During the evening the ladies got advise on hair and make-up and they got the chance to put that advise into action under the guidance of Rose and here colleagues. Many thanks to Rose and her colleagues! I Am International is an annual conference organised by members of the Amsterdam International chapter of JCI, a worldwide non-profit network organisation. This year we are focusing on the topic of Social Entrepreneurship and Corporate Social Responsibility (CSR). During the conference we aim at discussing and learning more about different strategies and outcomes from Social Entrepreneurship and CSR programs, what it takes to organise such campaigns and why they are important not only for society and the environment but for businesses as well. We are inviting representatives from the private sector, speakers from non-profit organisations and individuals that have organised social events to share their views and latest projects from this field. So if you are a (future) young leader, young professional, entrepreneur or JCI member sign up for this conference!